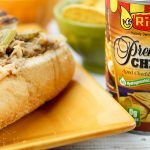 These slow cooker Philly cheese steak sandwiches were inspired by a sponsored partnership with Ricos Cheese. All opinions are my own. 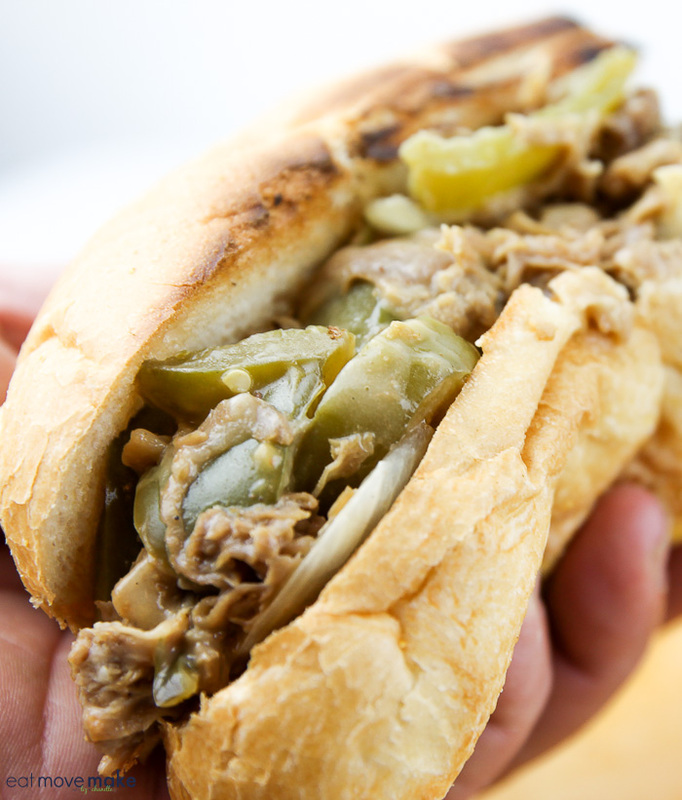 I’ve always loved a classic Philly cheese steak, but I don’t always feel like doing the griddling that goes with it. Or the cheese slicing. Or the cooking. Ha! Just kidding… I love the cooking, but I’m ridiculously busy (like most people) over the holidays, so if I can more easily make a meal with the same winning flavor, I’m gonna do that. 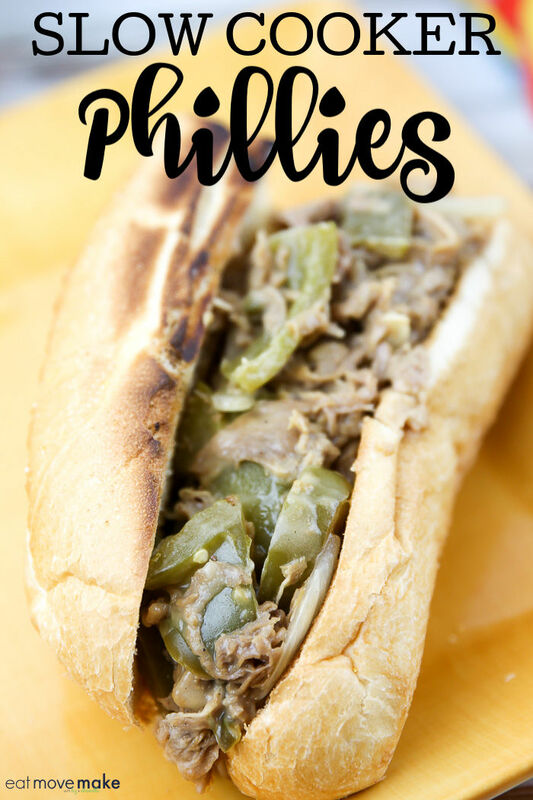 Using a slow cooker and my fave Ricos Premium Cheddar Cheese, I can make the most satisfying and delicious slow cooker Philly cheese steak sandwiches with a lot less hassle. 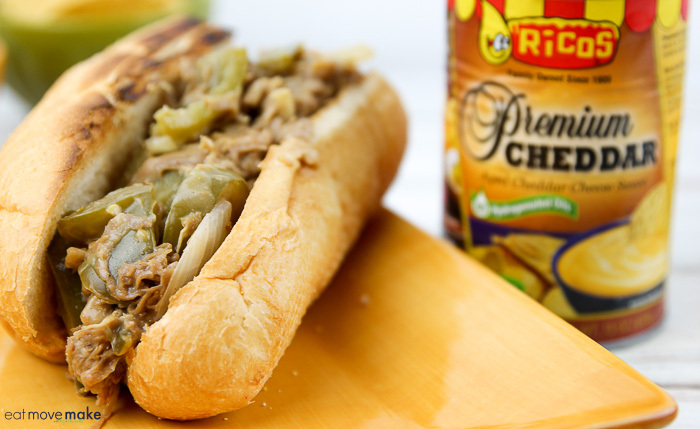 Have you tried Ricos Premium Cheddar Cheese yet? It comes a can, so I stock up at Walmart and it’s always ready and waiting for me in my pantry. And it’s darn good in this recipe. DARN GOOD. I throw all my ingredients into the slow cooker (except the cheese) and cook on low for four or five hours. If I prep this the night before and refrigerate, I can just pull it out of the fridge and start cooking about noon or so. 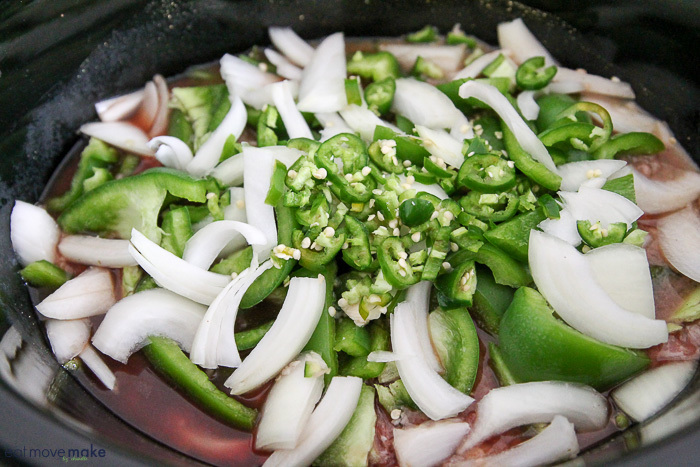 All those flavors will blend together while they cook low and slow. 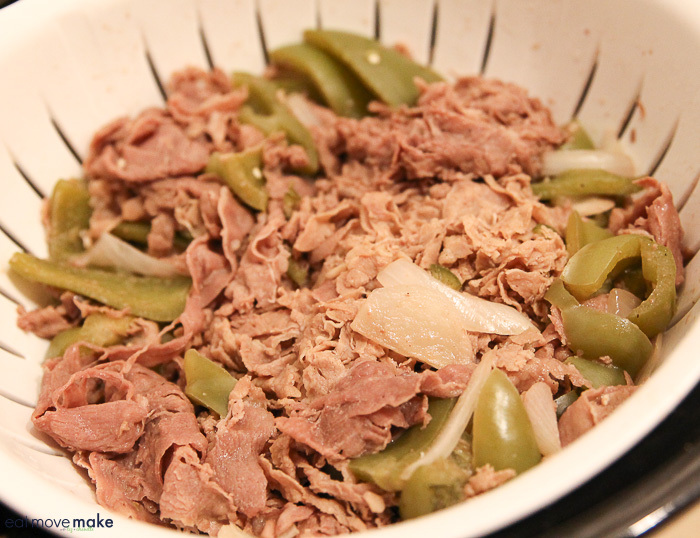 About 40 minutes before dinner time, I drain the meat mixture completely. And then I add the cheese sauce, mix it all in and continue cooking over low heat for about 30 minutes. Yum-may! 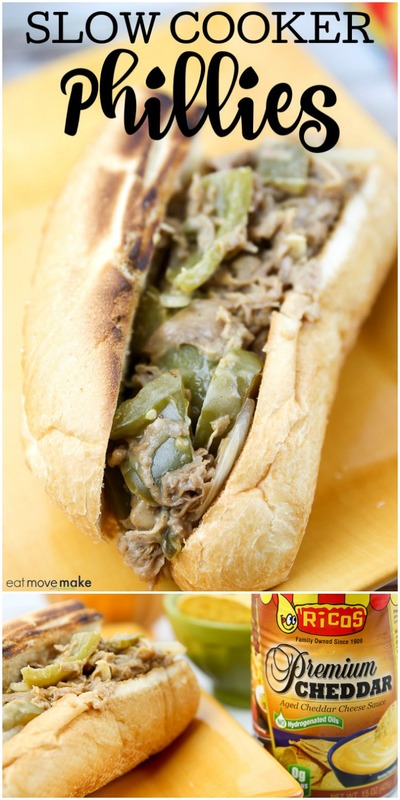 Use tongs to place the meat and cheese mixture over toasted deli buns and then take a bite of these flavorful and cheesy slow cooker Philly cheese steak sandwiches. I made enough for everyone. 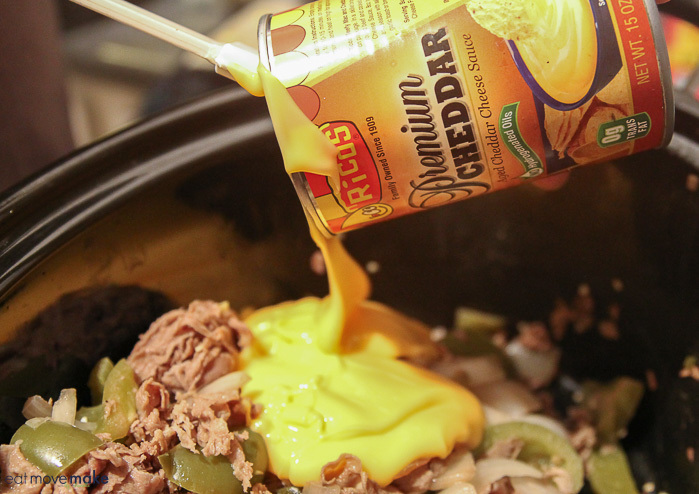 Combine all ingredients except cheese sauce in slow cooker. Cook on low heat for 4 hours. 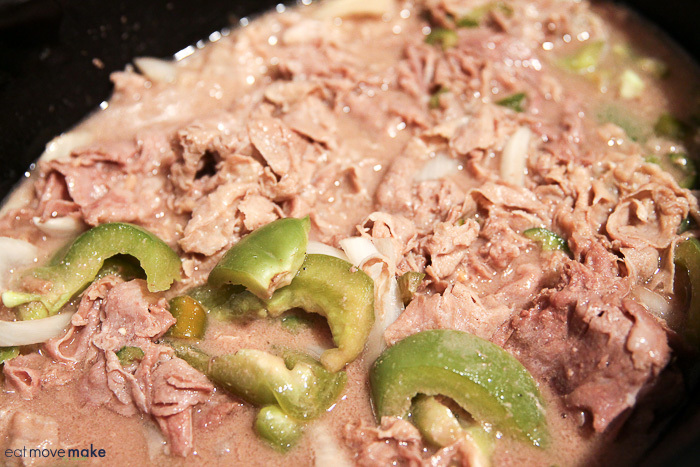 Drain off liquid well and return mixture to slow cooker. Stir in Ricos Premium Aged Cheddar Cheese Sauce, mixing well. Cook on low for 30 minutes. Serve on toasted deli rolls.